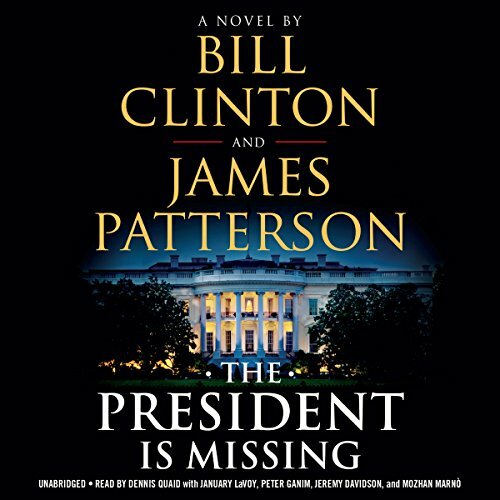 Thanks to Hachette Audio and Libro.fm for the advanced listening copy of ‘The President is Missing’ in exchange for an honest review. This ALC being provided in no way influences my review. The President is Missing is a thought-provoking and highly plausible novel that, for me, misses some marks that would’ve made it truly captivating. Cyberterrorism is pretty prevalent these days, what with the continuing evolution of technology and power hungry people using scare tactics to achieve their desires. The President is Missing begins with such a tactic and pushes the acting President to the top of the prime suspects list. Phone calls between him and a known terrorist are brought into the fold, but he continues to state that he has America’s best interests in mind. With whisperings of the “Dark Ages” traveling through the White House and shootings off of South Capitol Street, who will America turn to in order to fight this cyberterrorist before it’s lights out nationwide? I will say this: I went into this audiobook simply because of the audiobook cast and because it was deemed “The Publishing Event of 2018”. I have never been a huge fan of James Patterson, especially of his writing over the past several years, what with ghost writers and the such. Bill Clinton was a fine President, what with one of the highest approval ratings in history, but I have yet to read anything by him (except what is on the news). Having said that, hearing that Dennis Quaid, January LaVoy, Peter Ganim, Jeremy Davidson, and Mozhan Marnò were lending their talents to this full-cast production, I had to see what the fuss was about. Needless to say, the audiobook was fantastic. What wasn’t so great was the story. There is all of this build up through the first quarter or so in the novel, and it just fell flat for me. The middle 50% or so was just a bunch of back and forth between advisers and cabinet members, and then the last quarter ties everything together so quickly that you are left with sort of a “meh” feeling. Not to mention that there are SOO many chapters and nothing has time to develop. You also get this feeling that Jonathan Lincoln Duncan is just Bill Clinton in an alternate universe where he gets to be handsome and save the day instead of being impeached for “other reasons”. There are plenty of legit comparisons between the two and it feels like Patterson wrote this character as specific as possible to the real deal. Overall, if you liked Clinton as a President or like Patterson when he is actually writing his novels, take a chance. Or if you are like me, listen to the audiobook simply for the well formed cast. Nothing here is mind-blowing, but it is a decent and easy to follow read that will get you through the drive to work. First time hearing about this one.